Paper Pawz: In love with Otters! I tend to purchase any otter set on the market but this guy from the My Favorite Things Otterly Love You set is by far my favorite! 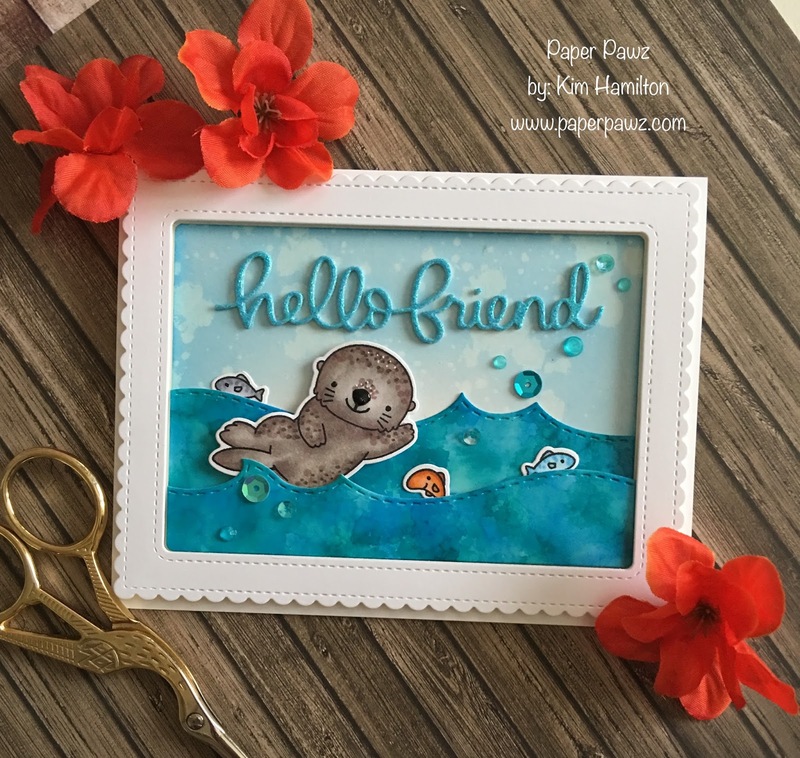 This project began after I played with some of my alcohol inks and one of the backgrounds became my waves die cut with the Mama Elephant Ocean Waves Trio dies. I then used another Mama Elephant die (Madison Avenue) for my frame and background. I used Salty Ocean Distress Oxide for the sky and sprayed it with my Distress Sprayer for texture. I then used my Copic Sketch in E71, W3, W1 and WO for my Otter. I also colored some of the fish from the same set with simple coloring. I put the card together and decided on the Mama Elephant Hello Friend Script Creative Cut and used my new obsession Tonic Glitter paper. I die cut three and stacked them for dimension and then glued them to the background. To finish the project I scattered a mix of Studio Katia jewels and Hero Arts Ocean sequins. I have been making many friendship cards, I guess winter has a way of letting you know to send out some happy mail! CAS-ual Friday's Challenge - All that Glitters!